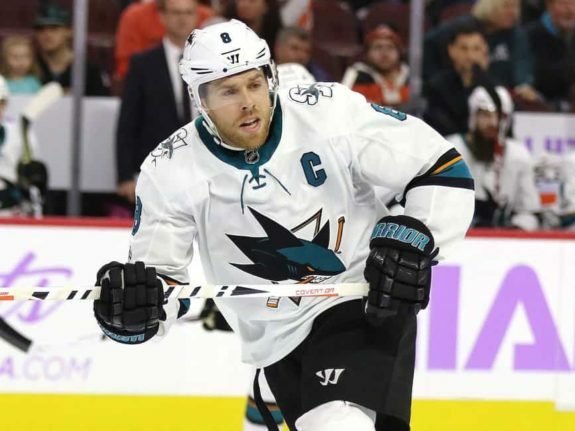 SAN JOSE, Calif. — With nine players with at least 50 points, four 30-goal scorers and three world-class defencemen, the San Jose Sharks have almost all the ingredients necessary to make a long playoff run. 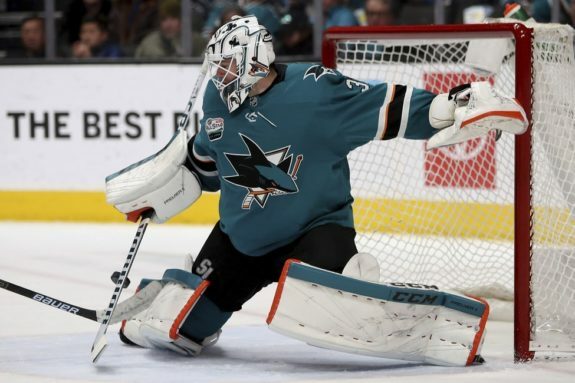 The one major question facing the Sharks is in goal, where Martin Jones struggled all season and enters the post-season with the lowest save percentage for any starter on a playoff team. The struggles in goal this season have placed heavy pressure on San Jose’s offence, which needs to generate lots of scoring to remain in games. The Sharks lost all 20 games they played when scoring two or fewer goals, becoming the first team since the Montreal Canadiens 18 years ago to fail to record a single win when failing to score three goals, according to the Elias Sports Bureau. The one major question has been on the number of goals allowed, which has been fueled in part by turnovers on offence that lead to too many odd-man rushes.